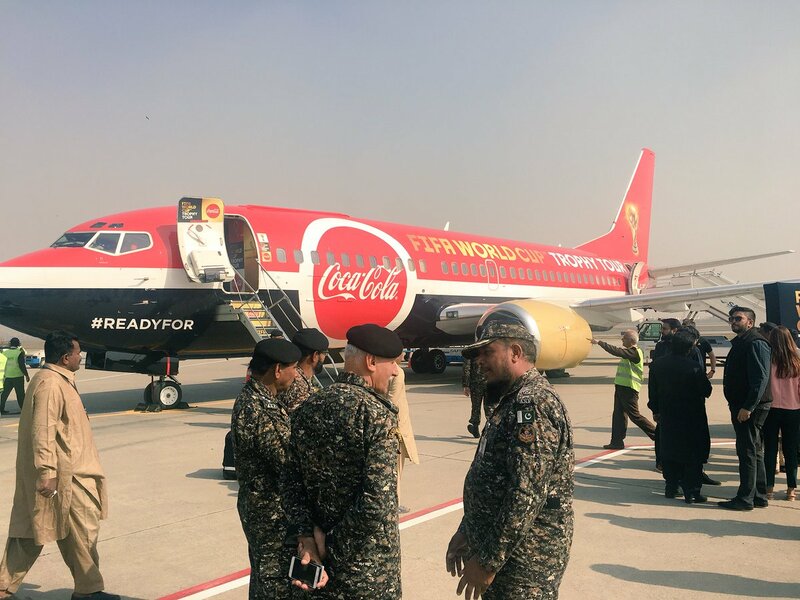 Excited fans of football have thronged Lahore to welcome the FIFA World Cup 2018 trophy, that came toÂ Pakistan today as part of a journey to 51 countries, 91 citiesÂ and six different continents. 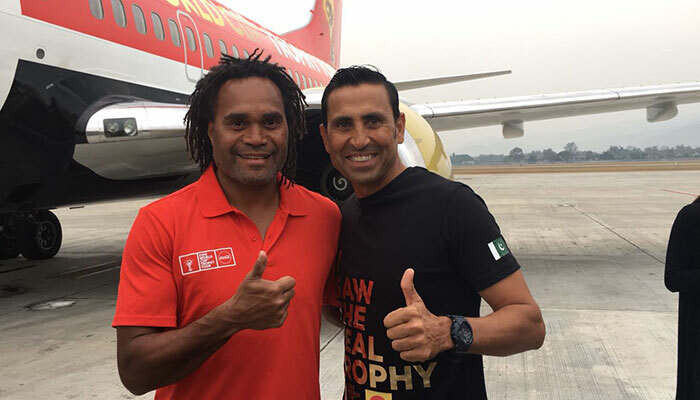 As per details, the trophy arrived Lahore in a special chartered plane along with superstars, including legendary cricketer Younis Khan, famous singers Quratulain Baloch, Momina Mustehsan, actress Maya AliÂ and former French World Cup winner Christian Karembeu. The trophy, which was introduced more than four decades back in 1974, will remain in the city for a day where it will be put on display for the public. It is learnt that the FIFA World Cup trophy is made of 18 carat gold with a malachite base. The trophy is approximately worth $150,000, and was prepared by Italian company Stabilimento Artistico Bertoni. 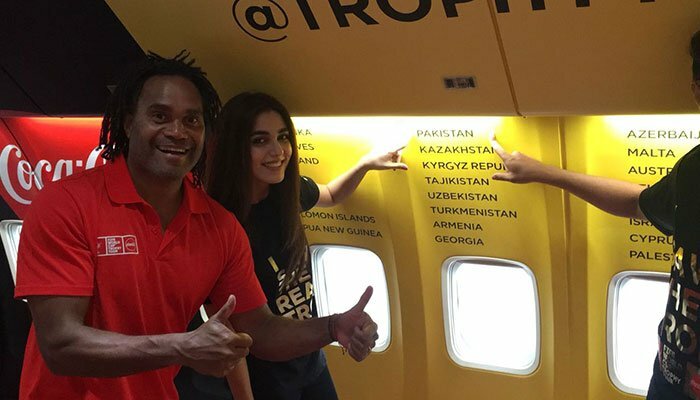 would have been better if it landed in Islamabad being the capital or Karachi where most football players belong to but neverthless it is good.